Graphic Tee Shirt London by Catch. Wear the stylish graphic tee shirt that screams London from sleeve to sleeve. A casual tee printed with white graphics on the chest. 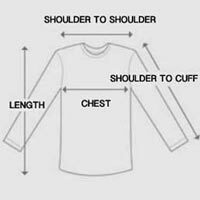 Regular fit t-shirt constructed with crew neck and short sleeves. Graphic tee shirt made from lightweight cotton blend with ample stretch. Contemporary style graphics that extend onto both sleeves. This is the minimalist graphic tee shirt that'll keep you looking cool around the clock.